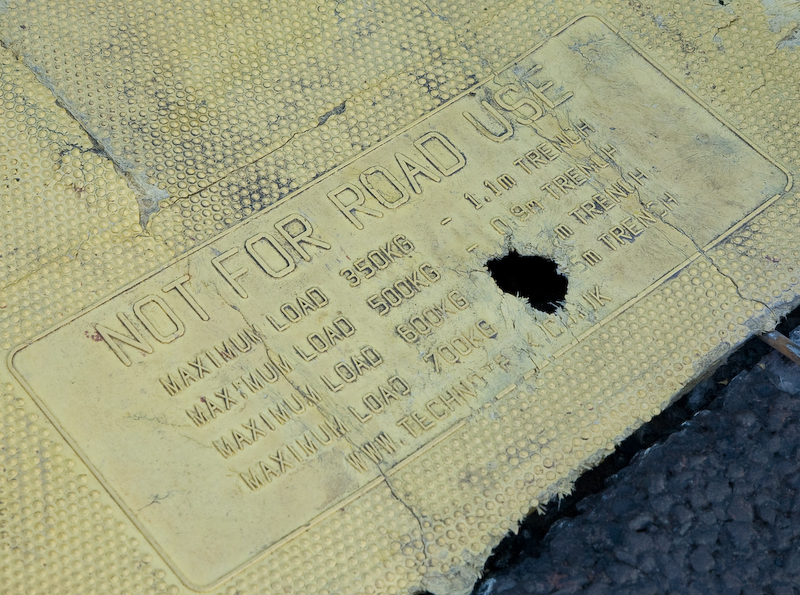 To continue what is probably a tedious theme from the last post – potholes – I thought I’d point out some of the absolutely dire road maintenance that Walsall Council seem to be deploying in response to the problem. On the morning after I published my last rumination on the matter, the Walsall Council Press Office sent out the following press release. Transport bosses have given the green light to an extra £100,000 to invest in roads to help cope with the cold snap bringing the total to £5.7 million. Scores of potholes have opened up on roads across Walsall in the wake of the icy weather that saw parts of Britain grind to a halt. Teams from partners Tarmac have been working flat out on inspecting and repairing the backlog holes as they are reported. The move means that almost £6 million is being spent on highways maintenance across Walsall in the current financial year. 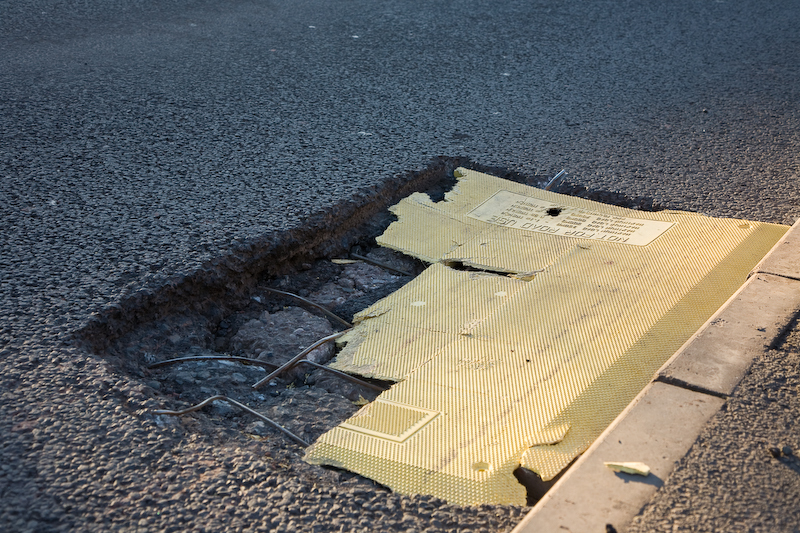 On top of this, an extra £200,000 has been earmarked for vital highways maintenance work in the next financial year – making an extra £300,000 in total across two financial years. Councillor Tom Ansell, Walsall Council cabinet member for transport, said: “It’s a major priority to keep the traffic moving across Walsall. Roads are our lifeblood and a great deal of time and resources are put into this. “Like other areas across the country we have been inundated with potholes which are caused by sub-zero conditions. “It is still a little early to assess the full extent of the damage to the road network. 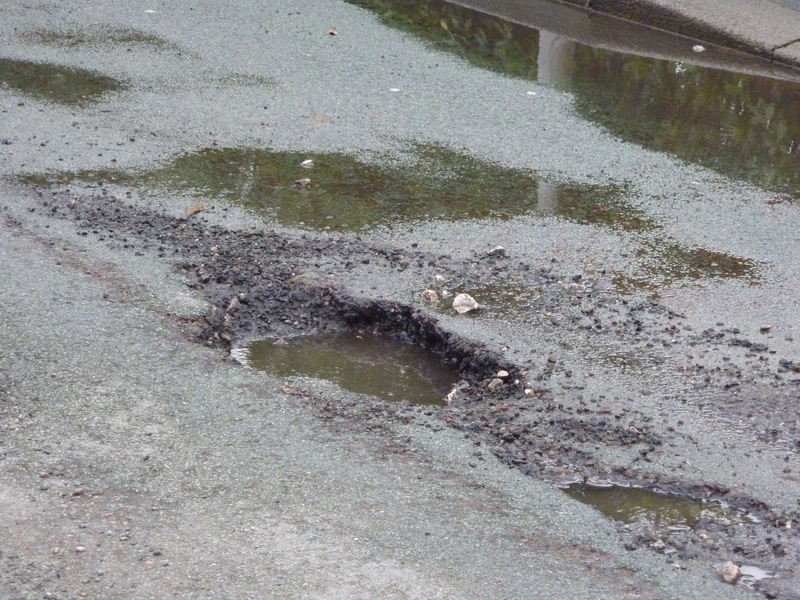 But we all recognise that there has been damage to the roads due to the severe weather this year and for that reason we have allocated a further £100,000 this financial year to enable a rapid response for potholes and other pressing problems. Work is carried out by partners Tarmac who are based at a depot in Cable Drive. Walsall Council looks after more than 500 miles of roads across the borough and is at a key strategic location in the national road network close to the M5 and M6 motorways. I would find all these fine words a lot more reassuring if I could see any evidence that those charged with remedying the defects were actually doing a proper job. In reality, there seems to be a strange approach to dealing with road repairs. Consider the following pictures, contributed by concerned readers of the blog. Filled with asphalt today, 4th March 2010. Adams Road, Shire Oak. This pothole actually featured in the last post. It was filled today, but the filler material hasn’t been compacted and could be dug out with bare hands. Consequently, it’s already rutted by vehicle wheels. As usual, there’s no attempt to seal the repair, so the void will fill with water and hydraulic action will wash the loose matter back out within days. Cavities within six feet of the filled one have been ignored and left to grow. 60 yards further along Adams Road, Shire Oak. There doesn't appear to be a child still attached to the school tie, thankfully. This crater has been forming in the road for some months, and is almost within sight of the one above. The crew who ‘fixed’ the previous defect will probably have passed this one on the way. Apparently, it didn’t warrant any attention. Friezland Lane, Shire Oak. Repair effected in January already disintegrating. This horror shows particularly well how our money is being wasted. For most of the last year, the tarmac here had cracked and broken up. In January, a work crew dug out the worst, realigned the drain grille and filled the lot with fresh blacktop. It wasn’t sealed at all, and is now breaking up a couple of weeks later. There is now a 35mm deep groove, just the right size and shape to swallow bicycle wheels. Given another week of wet weather, this will be a large pothole again. Leighswood Road, Aldridge, just on the corner of Burnfields Close. The ever-vigilant contributor Stevieboy378 sends this worrying bit of neglect. 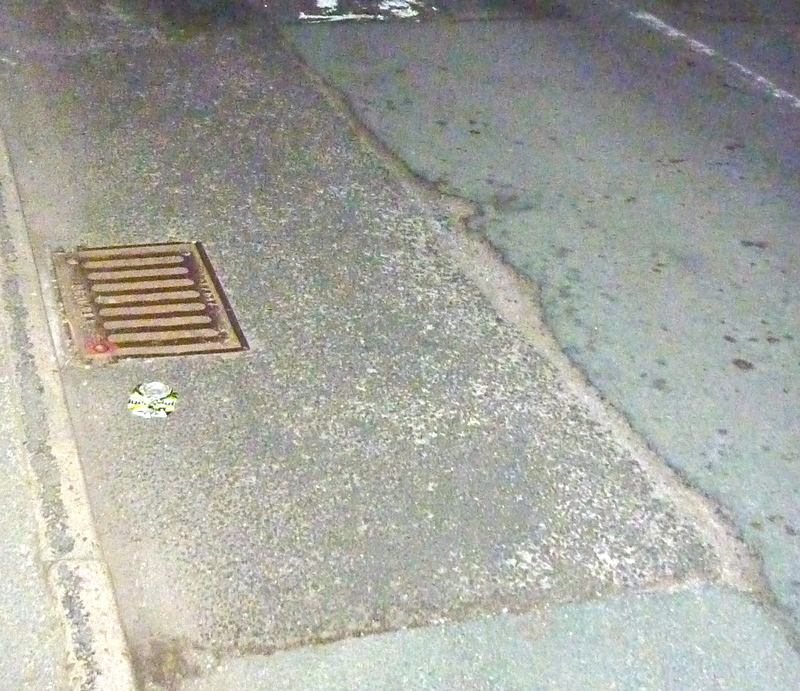 Situated on a junction, a collapsed drain was reported a couple of times to the council on twatter. It seems like some work was done, but then covered with a fibreglass board and left to decay. As can be seen, the board is completely inappropriate in terms of size and strength to use for that purpose. It has now, predicatably, broken up presenting a nasty hazard. Studying the board, Stevieboy noticed that it was marked ‘not for road use’. 'Not suitable for road use. Max load 700Kg' - another expert engineering solution. 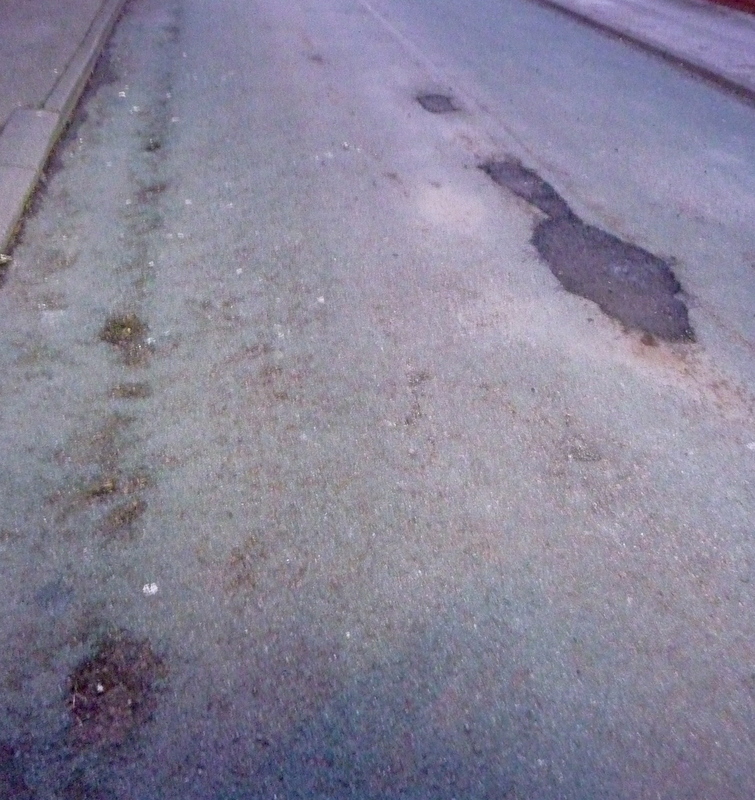 It is imperative that instead of spinning out another good news, smiley press release onto a weary public, Walsall Council should get their engineers off their backsides to investigate the appalling state of road repairs currently being undertaken either by their own employees or by their PFI partner, Tarmac. The bodging is costing both taxpayers and the authority money, as they repeatedly return to repair the same defects. One look at these jobs is enough to convince even the casual observer that they are being executed not for public service, but to serve a budget, and that the concerns of residents and road users are only of secondary importance. 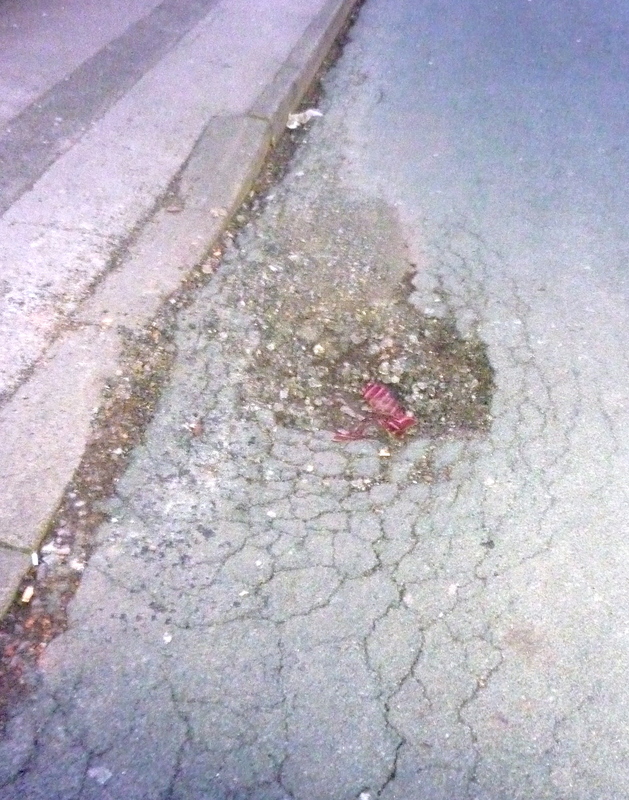 Councillor Ian Shires and others have also noticed the woeful quality of repairs and has blogged about the matter. This is an elemental service that we depend on local authorities to provide, and no amount of fluff in the form of media manipulation, social networking or public relations can mask the failure of the council to discharge its’ responsibility adequately in this matter. Returning home this evening, I felt the painful jarring of another pothole assault my spine. I reflected on a council that’s generous enough to spend tens of thousands on sculpture, but can’t fix the roads. Can I be the only observer who finds it ironic that a company calling itself ‘Tarmac’ seems to be so slapdash in it’s application? This entry was posted in Brownhills stuff, cycling, Environment, Followups, It makes me mad!, Just plain daft, Local media, Local politics, Reader enquiries, Shared media, Walsall Council, Walsall Wood stuff and tagged Bad workmanship, Brownhills, Cheap tat, Local politics, potholes, road repairs, Shire Oak, Silly, Tarmac, Walsall, Walsall Council, Walsall politics, Wlasall Potholes. Bookmark the permalink. Can I be the only observer who finds it ironic that a company calling itself ‘Tarmac’ seems to be so slapdash in it’s application? They are far too busy rolling about on big piles of (Walsall MBC) cash to worry about anything else. Look at what I found in my own blog archives, from almost 6 years ago. What have they been doing for the pas 6 years? Hi Bob, agree with everything that you say. I drive through Brownhills almost every day on my way home and my real main complaint is the state of the road near the Grasmere Garden centre on the Lichfield Road. There have been cones at this bomb site since October 2009 (six months for Gods sake). There is now an extra hole which reaches almost to the centre of the road and is very deep. In my opinion this is more than an accident waiting to happen, I believe it is only a matter of time before someone gets seriously hurt or even worse killed at this “disaster zone”. How much longer do we have to wait for this disgrace to be fixed?